I expected a huge crowd, but there were only about twelve people in the club when I walked in. In fact, I tried to time my arrival to miss the opening band altogether but they hadn't even played yet. 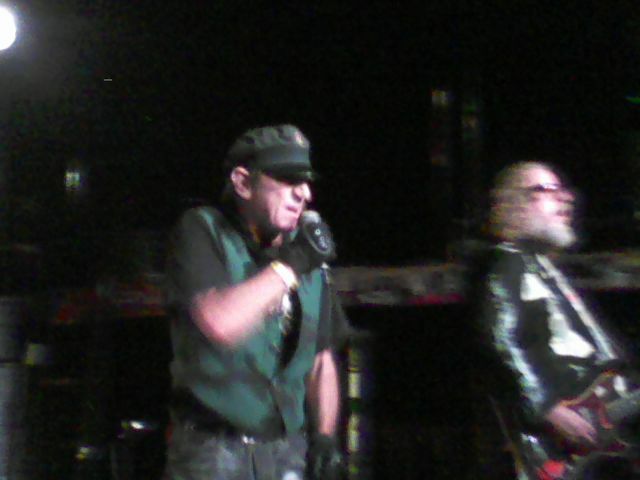 I was also surprised to see Weirdos singer John Denney sitting alone at the merch table. I introduced myself and initiated some harmless small talk about stuff like the long-defunct LA and OC clubs where I had seen the Weirdos in the previous century. I don't like small talk and I'm not good at it. Anybody who knows me also knows that I'm much smarter in writing than I am in real life. I cut to the chase. Why not? Nobody knows me here and I don't care who knows what a geeky record dork I am. 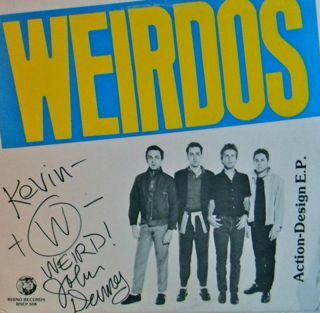 I'm not an autograph hound and I think that the very idea of an autograph is stupid, but we're talking about The Weirdos here. I asked him, "Would you mind if I brought in a record for you to sign?" "I would be honored," he said. What a nice Weirdo. 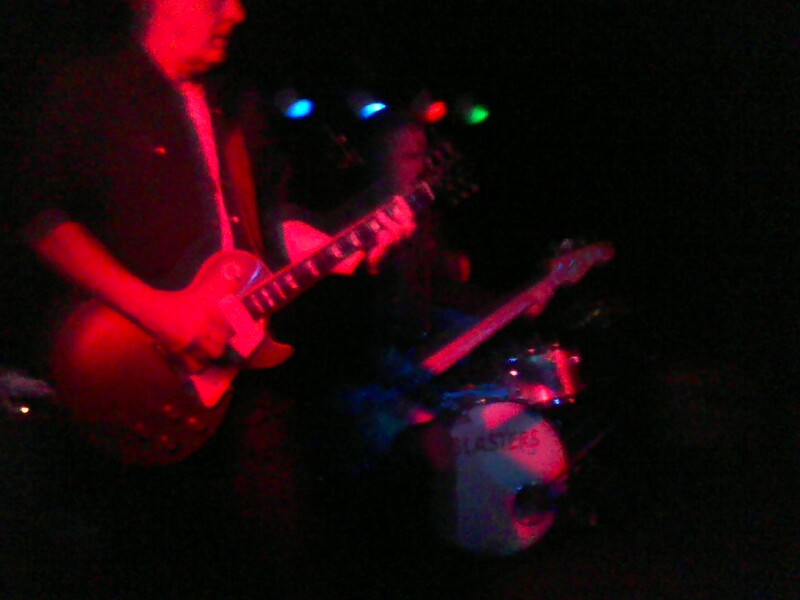 When The Weirdos first took the stage, some random drunk guy began heckling them. I think this guy just wandered in off of the street - he didn't look like the rest of the crowd consisting mostly of aging hipsters, punkers, and record geeks. The drunkard loudly proclaimed that bearded bassist Zander Schloss "looked like Cheech and Chong" - not Cheech, not Chong, but Cheech AND Chong. "Who are these Weirdos?" he asked no one in particular. I tried to look away, but I was too slow to avert his gaze. He got right in my face and said, "You know the Weirdos?" No longer fluent in Drunken Idiot-speak, I answered him in a just-as-obnoxious, smarmy, condescending tone, "I don't know them personally, but I know their music." I can be such a jerk sometimes. A few songs later, Mr. Drunk Guy was a convert. He staggered up to me, got in my face again, and shouted, "These guys are AWESOME!" Then he went right back to heckling. The Weirdos have survived generations of hecklers. This guy wasn't even a blip on their radar. In actual Record Weirdo News, I did my dealer thing at the most recent Albuquerque Record Show. The local weekly rag had run a nice piece about it and there was a larger-than-normal turnout. I sold a lot of stuff. I did better than my previous times at the ABQ show even though I didn't have anything really good to sell. I met a man from Dallas who said he used to live down the street from Gene Vincent. I believed him because I wanted to. These are comments and observations taken from my handy little notebook, which has been hiding in a drawer for two weeks. "(Insert band name) has less in common with the Ramones than Styx had in common with Chuck Berry." "A mohawk and a blue-tooth - is this 1984 or 2009?" "A drunk trying to light a cigarette with a cell phone." "Did that shirt say 'FBI - Fat Booty Inspector'?" Cheap Trick were going to play just a couple miles from my house. They've always been a favorite of mine and I wanted to see them. The downside was that they were opening for Boston. That was a deal breaker. Forget it. I'm not going. I forgot it, that is, until the day of the show. About an hour before the concert was scheduled to start, I had a change of heart. I decided to do what I had done at several previous concerts and sporting events - just show up and expect that someone will be outside of the venue trying to unload unwanted tickets at a greatly reduced price. It worked. It always works. Sitting in my seat before the show, I had a few minutes to observe my surroundings and perhaps have a moment of self-reflection. One observation concerned the absolute silliness of e-cigs. Okay, most people agree that those Vicks VapoRub-scented, blue-blinking, surrogate pacifiers are just another example of manipulative mass hypnosis targeting highly gullible people. When I first became aware of e-cigs, I assumed they were some sort of legitimate smoking cessation method and tolerated them for that reason. I felt compassion for those trying to break their addiction. Now I realize that e-cigs are just another trashy fashion accessory and I feel free to ridicule them. What drew my attention to this embarrassingly trite topic was an e-cig victim sitting in front of me. This person was not inhaling, but they were trying to make it look like they were - it was just like being behind the backstop in 7th Grade. So, in short, they were pretending to smoke a fake cigarette. I felt bad that I was the only one to appreciate this little nugget of irony. If I had invented the e-cig, would I be rich enough to buy off the guilt about it? Probably. Okay, that part is way too long but I won't edit it. I believe every word is gold. Now it was time for self-reflection. I have lived in three different states - California, Washington, and now New Mexico. While waiting to for Cheap Trick to take the stage, I realized that I was about to see them perform in all of the three states that I have called home. Finding this bit of trivia more interesting than e-cigs, I tried to think of other bands that I have witnessed live at all three major stopping points during my journey-in-progress. Foraging through the archive of random information that I call my brain, I was only able to come up with a hillbilly handful (6) of results. Here they are, in roughly reverse-chronological order: Cheap Trick, Agent Orange, The Blasters, X, Big Sandy and the Fly-Rite Boys, and Social Distortion. They certainly do not represent my entire musical scope but they might indicate a constant. Five out of those six bands originated in California, as did I, so obviously there is some degree of regional bias. Three of the bands on the list (Agent Orange, X, and Social Distortion) I first saw in High School, which could either mean that A) I am stuck in my ways, or B) I refuse to grow old in the mind. I am also lucky enough to know a few people directly or indirectly associated with some of these bands that let me weasel my way into their shows for free. Yes, I'm cheap and my frugality is certainly a factor. My wife said I squeak when I walk, but that could mean several things. That's enough about that. 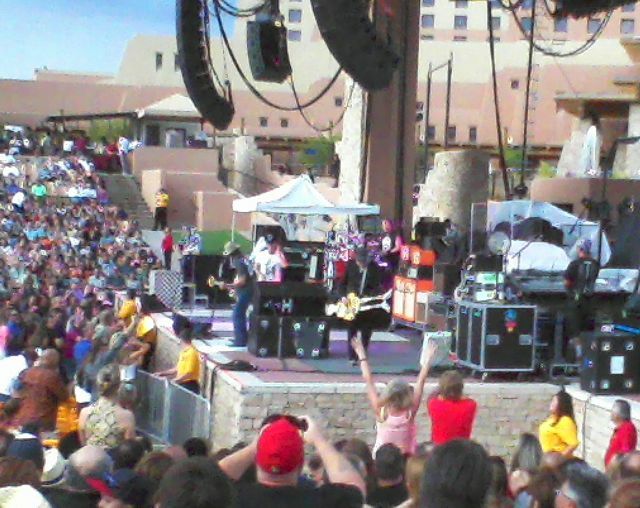 Cheap Trick played and I have some blurry phone pictures to prove it. They were very good. Toward the end of their set, it started raining. After they finished, it started raining hard. It was raining cactus and dogma. I did not stay to see Boston. Post Script Addendum: I should probably add Brian Wilson to my tri-state list. 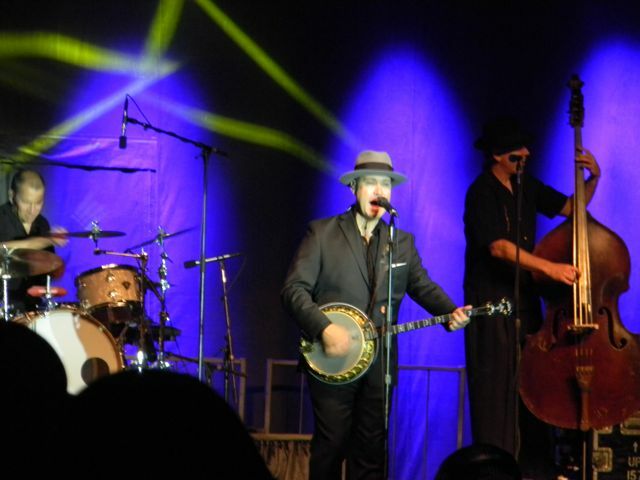 I've seen him as a member of the Beach Boys in two states and as a solo artist in another. That's close enough. I've always liked the idea of Record Store Day, you know, visiting your local, independently-owned, "mom and pop" record store to remind you how cool the record buying experience is. For some older people who lost touch with their younger record-buying selves or younger people who like the retro, archaic vibe of vinyl, it is a good reminder to throw some money around and keep some stores in business. For the past several years, I have honored and done my part to spread the word about Record Store Day. Many artists have done their part by releasing limited-edition exclusive vinyl-only product to attract collectors to the stores. Unfortunately, this has led to the downfall of Record Store Day. The "Limited Edition Collectors Item" brings out the worst in everybody - from record companies (remember them?) who dig up some random unreleased outtakes for a ridiculously expensive "exclusive" item or take the opportunity to re-release 1970's "classic albums" on overpriced 180-gram virgin vinyl, to the avaricious record hoarders who will camp out overnight to get the first and sometimes only copies of everything. I'm the type of collector who looks for underpriced stuff that no one else likes, not overpriced stuff that everybody else crawls over each other to get. There are too many limited-edition exclusives. Music on vinyl should be more inclusive. Stop trying to kill it. Again. And again. If the stores make money, great, I'm all for it. I like record stores and I hope the day comes when they don't need gimmicks to survive. Madness + Ian Dury = Brilliant! 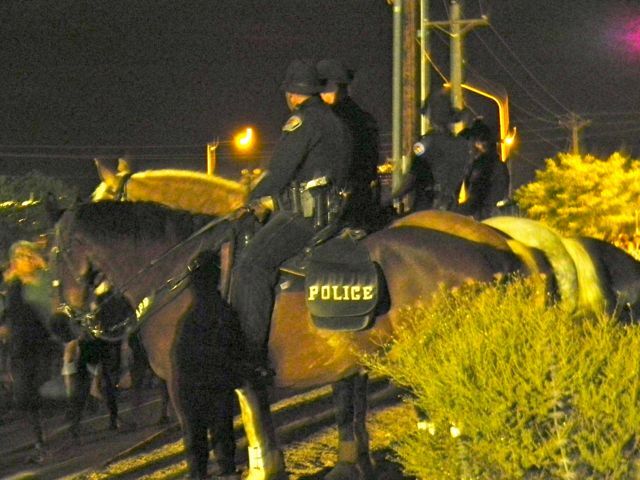 In the classic film "Plan 9 From Outer Space," Albuquerque is described as "strictly a nine o'clock town." That's just not true. Last night the Blasters didn't take the stage until almost nine-THIRTY! And then they rocked. They rocked until about eleven o'clock. What did they do for an encore? They rocked some more. Take that, Edward D. Wood Jr.
Phil Alvin apologized for not being in full voice but it wasn't really noticeable to my ears, or at least what's left of them. He did appear to be having some discomfort, so the band cut the yodeling songs from the set and added longer guitar solos. That worked. I took about five pictures with my phone. The one above, believe it or not, is the best. Both are #Awesome much better than the original - watch 'em. 08.13.13 - There has a been a few live Prince shows / songs / playing with others (3:29 of this vid) that have come up on YouTube recently that have re-reminded me what a great guitarist the man is. Love this video of Prince and 3rd Eye Girl at the Paradiso in Amsterdam. Catchy title, huh? I stole it from a movie I hadn't seen (*see footnote). In the name of research, I watched the movie and it turned out to be a dark, violent mobster flick that had very little in common with my recent trip to Denver. I thought the film was somewhat derivative and predictable but, then again, so is my writing. Fair enough. I made a short list of record stores I wanted to visit while I was in the city, but Wax Trax was the only one I actually made it to. I chose well. 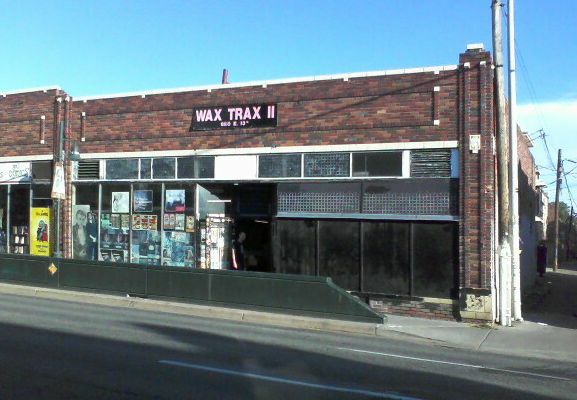 Wax Trax Records in Denver is the best record store I have been to in a long time. It has the dusty ambience and huge selection of most collectors-type stores, but without the condescending attitudes and highway robbery prices. They have a huge vinyl inventory in the 3-5 dollar range that enables thrifty shoppers like myself to accumulate a healthy stack in no time. I did check out the small "collectible" section and it was a pretty good one. They had an original copy of the first Big Star album for $25.00. You don't see that one every day. I thought about it and I'm still thinking about it. That ship has sailed. From the collectable bin, I did snag a copy of "Here I Come and Other Hits" by the Fall-Outs. I remember The Fall-outs from when I lived in Seattle - they were a great live band. After a minimal amount of research, I found out that they're still active - which is nice to know. To describe the Fall-Outs as a great Northwest garage-style rock band doesn't quite do them justice. This copy of the record has a skip on one song, but that still leaves 14 songs that don't skip. I'm okay with that. "With the Naked Eye" by the Greg Kihn Band. You might remember him. He had a couple of hits - like the one that went "ah ah ah ah ah ah ah ah." I prefer his earlier albums, like this one. 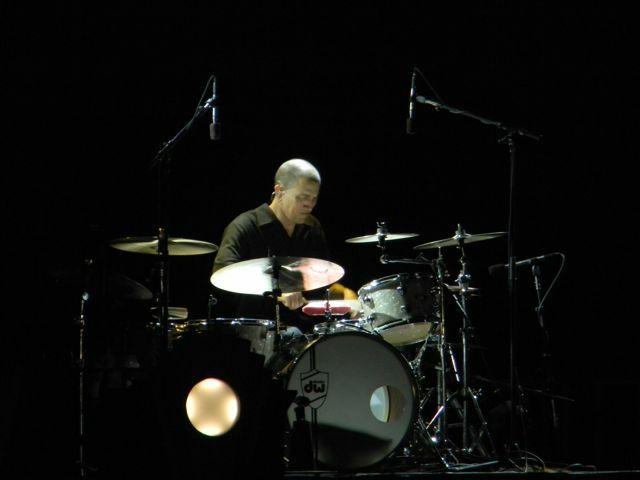 I saw him play a few times in Northern Cal. "Short Back and Sides" by Ian Hunter was co-produced by Mick Jones of the Clash. It is not a great album but I like it. I've been on a Beach Boys kick for a while now. I thought I had it under control. I've been casually looking for, and was pleased to find Carl Wilson's eponymously titled first solo album. In my opinion, he was the best singer in the group and criminally underrated. The first side is made up of slightly R&B-influenced, mid-tempo rock songs typical of the late 70's/early 80's era, but the ballads on side two are where he really excelled. I can't pin it down, but something about this album demands repeated listens. Okay, speaking of the Beach Boys, I know that Carl Wilson made a couple of solo albums that are worth hearing. I also know that Dennis Wilson made a really good solo album. 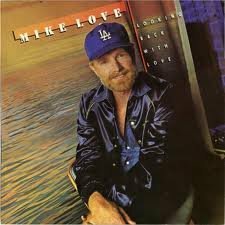 "Looking Back with Love" by Mike Love. I could not pass this up. I have read too many negative things about this not to want it. This universally panned solo album by the longtime Beach Boys front-man features the infamous song "Rockin' the Man in the Boat," which can be best described as two and a half minutes of groan-inducing double entendres. If that's not enough for you, the song takes a serious turn for the creepy when Mr. Love starts singing about his telescope. As questionable as that song is, it's pretty much the highlight of the record. I don't need a Q-tip to clean my ears - I need a blowtorch. Why do I keep listening to this album? I admit that I've never been burdened with particularly good taste, but there is definitely something wrong with me. I can't follow that with anything. I bought a couple more records, but discussing them would just lead to more of my boring "I saw this band" or "I used to live there" stories. You're welcome. *footnote - The movie "Things to Do in Denver When You're Dead" took its title from a Warren Zevon song (I lose some serious music geek points for not knowing that). 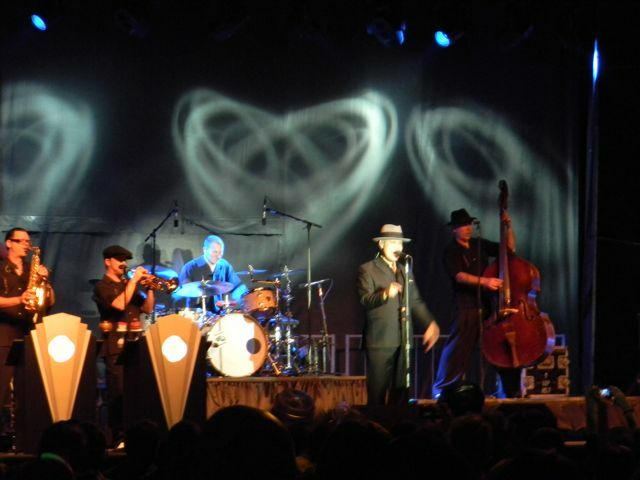 Big Bad Voodoo Daddy played a free show at an Albuquerque neighborhood street fair last weekend. It was just a spit and a holler from my house so I had to check it out. It goes to show that if you wait long enough, everything will eventually be delivered to your doorstep. It took the Swing Revival twenty-some years to reach Albuquerque: Grunge is expected next year. After that, the police will be getting cars. 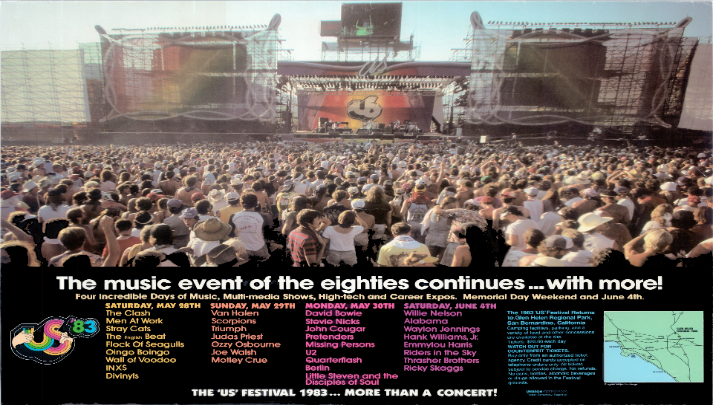 The US '83 Festival - 30 Years Ago? 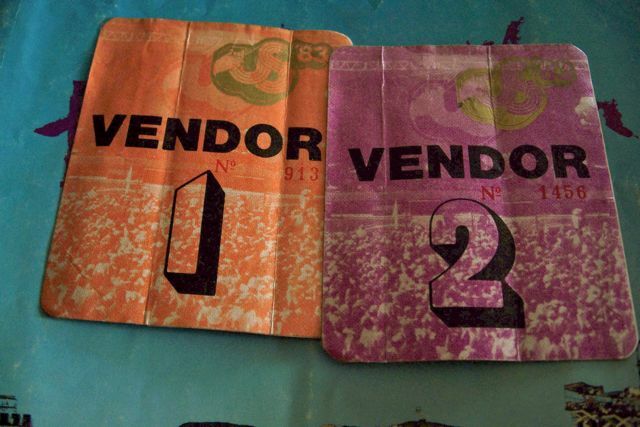 I don't like to take strolls down Memory Lane very often, but it just hit me during this Memorial Day Weekend that it's been 30 years since the footnote in music history known as the "US '83" Festival. Longtime readers of barflies.net might remember that I wrote something about it 10 years ago but, as time goes on, I must continue to revise history. As the saying goes - the older I get, the better I used to be. Here's the story: In 1983, I worked as one of those "hey peanuts!" vendors at Anaheim Stadium - home of the California Angels (note the deliberate use of obsolete names). Along with a few other "hawkers", I signed on to work as a roving soft drink vendor for the US '83 multi-day music festival in the hills above San Bernardino, CA. We were promised a commission-based pay along with meals and free campsites. The meals turned out to be leftover hotdogs and the "campground with a stream" turned out to be a dusty gravel parking lot with an open sewer, but we really didn't mind. The selling point for most of us was the music. The Clash were headlining Day One. I was more interested in seeing one of my favorite bands -- getting paid for it was just gravy. I wasn't about to buy a ticket for this circus and have to sit through eight or nine opening bands, so I was in. How much were tickets anyway? Twenty bucks a day? Outrageous! My plan was a simple one: I would work during the bands I wasn't interested in and take breaks when there was a band I wanted to see. My vendor pass gave me access to everywhere but backstage, so I had some good vantage points. Divinyls - I remember nothing about them. INXS - I remember very little about them. They got big later. Wall of Voodoo - I had seen them in an empty club a couple of years previous and they didn't really translate to the big stage. I don't remember if they did their "barbecued iguana" song. They probably did. Oingo Boingo - I don't know where I was when they played. They must have played because it's printed here in the program. The English Beat - I'm trying to find a smooth way to work "Save It For Later" into this. No luck. Flock of Seagulls - A punch line even then. I ran. I ran so far away. Stray Cats - They were great and really cleared the seagull poop out of my ears. They may have been marketed as a retro novelty act, but they could really play. Men At Work - There really once was a number one hit single with the word "chunder" in it. Call me old-fashioned, but I like that. The Clash - I had seen them several times before and this show turned out to be their last hurrah. They were about to break up and I may have sensed it, but even at their worst I thought they were great. Yeah, I know they tried to come back with a new line-up but that's best forgotten. Here's where I tell you what a big wimp I was. Here's my excuse - no sleep, bad food, and maybe a little bit of a hangover. The morning was hot and dusty. It was already 100 degrees at noon when Quiet Riot started to play. Quiet Riot sucked. They sucked, sucked, sucked. People were crawling over fences in every direction - some to sneak into the show and others to get away from Quiet Riot. It was getting ugly. The air was starting to smell druggy and stabby. I went along with a few other vendors that decided to drive the hour back to our safe little suburban Orange County homes, get some sleep, eat real food, make use of indoor plumbing, and come back the next morning. It might have been cool to see Ozzy Osborne or Judas Priest but I didn't. I may have wanted to see Van Halen's last hurrah with David Lee Roth (I think) but I didn't. What are my hard rock credentials you ask? My first concert ever was Led Zeppelin and I once saw Motorhead perform in a roller rink. Not enough? Still a wimp? Did I mention that Quiet Riot sucked? Little Steven and the Disciples of Soul - A bunch of guys from Bruce Springsteen's band that played the kind of stuff that Springsteen didn't play anymore. I liked it. Berlin - It wasn't too long before this that they were the house band at Ichabods in Fullerton. They had a hit record at the time but they couldn't quite fill the big stage. Quarterflash - I don't remember much. I thought they were Pat Benatar. U2 - You who? They were one of the bands that I really wanted to see. I think this show was their big breakthrough - they started to get popular right after this. They were actually really good before they got all huge and ridiculous. Missing Persons - No recall. Pretenders - I liked them. No details available. Joe Walsh - I have nothing against Joe Walsh, but he played too many Eagles songs. Stevie Nicks - I'll be nice here. She probably either doesn't remember this show or would like to forget it. David Bowie - This was his first US show in a long time, I think it was hyped as a big comeback. It was good but I was too burned out to really appreciate it. I saw him at Anaheim Stadium a few months later and it was much better. Everybody seems to forget about this one. Riders in the Sky - I got there late and didn't see them. Thrasher Brothers - No recollection whatsoever. Ricky Skaggs - I stopped and watched him up close for a while and he played some amazing bluegrass stuff. Why didn't he do more of this instead of his boring, mainstream country hits? I think he does now. Good for him. Hank Williams Jr. - "I'm BO-O-O-O-CEPHUS! I LIKE TO GET DRU-U-U-NK!" got really old after an hour or so. Emmylou Harris - Very nice. I think she took extra care not to wake up the passed-out Hank Jr. fans. Waylon Jennings - The Man. The Legend. He was Waylon Jennings and you will never be. Alabama - I don't think I stayed to see them. If I did, I don't remember. They should not have been billed over Waylon Jennings. Willie Nelson - I left before he played. Okay, it's time to take the program and put it away for another ten years. Who knows what historical revisions and lies I will come up with in 2023? I wonder what these passes would go for on ebay.